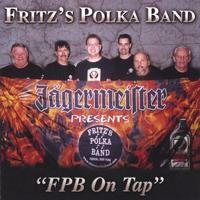 Jagermeister-sponsored, Fritz's Polka Band performs an eclectic mix of music that breaks the "polka" stereotype. Jagermeister-sponsored, Fritz's Polka Band (FPB) was formed in 1978 by lead accordionist, Fred Scherz Sr., and his eight-year old son, Fritz, for whom the band was named. FPB performs an eclectic mix of musical styles, including modern polka, country, fox-trot, waltz, and more! Fritz's Polka Band is NOT an oompa pa band or the stereotypical "polka" band. In fact, FPB is known for breaking the stereotype regarding "polka" music. FPB is the first polka band to perform at a Woodstock Festival! FPB has made 16 recordings, which have achieved international airplay. Individuals of the band, and the band itself, have received some prestigious honors. As a group, Fritz's Polka Band has performed on stage with "Canada's Polka King," Walter Ostanek (Grammy winner), "America's Polka King," the late Frank Yankovic (Grammy winner), LynnMarie Rink (Grammy nominee), and Glen Burtnik. Individually, Fritz has performed on-stage with Steve Augeri (lead singer of Journey). FPB even appears on "The Manchurian Candidate" DVD, from Paramount Pictures! Additionally, Fritz's Polka Band has opened up shows for Walt Ostanek, the late Frank Yankovic, Jimmy Sturr (Grammy winner), and BeauSoleil (Grammy winner). Fritz's Polka Band has played at: Woodstock '99, the New York State Fair, regional and county fairs, ethnic events, colleges, concerts, social occasions, corporate events, weddings, anniversaries, and benefits.